No. I’m in a couple of scenes. Yeah, I was never told whether or not I could say. I cansay that I work at Oscorp. And I am someone from the comic books, someone from the original. So, yeah, I’m somebody. I wouldn’t say I’m pivotal, but I’m not an extra, either. Director Marc Webb recently took to Twitter to confirm long-running rumor that the actor will play a villainous role. While promoting the trailer for Novak’s new book , he casually named Novak’s character as “A. 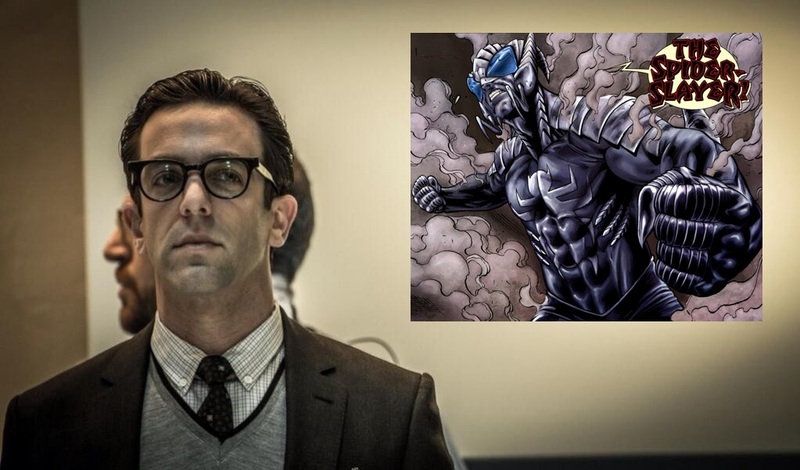 Smythe,” which is likely none other than Alistair Smythe, a familiar villain from the Spider-Man comics. The character of the “Spider Slayer” creator Spencer Smythe – Alistair’s father – has been previously teased, but was also unconfirmed. Whether this is a cameo or we’ll actually see the Spider-Slayers play a role in this movie remains to be seen when The Amazing Spider-Man 2 hits theaters on May 2nd, 2014. The upcoming superhero sequel was already known to have many villains in its cast: Jamie Foxx as Electro, Paul Giamatti as The Rhino, Chris Cooper as Norman Osborn and Dane DeHaan as Peter Parker’s friend Harry Osborn, who appears to take on the Green Goblin identity in the movie. The first of at least three planned sequels to 2012’s Amazing Spider-Man, also stars Andrew Garfield, Emma Stone, Colm Feore, Sally Field and Sarah Gadon. If you haven’t already seen a new extended trailer that debuted this past Sunday during the Super Bowl, here it is.